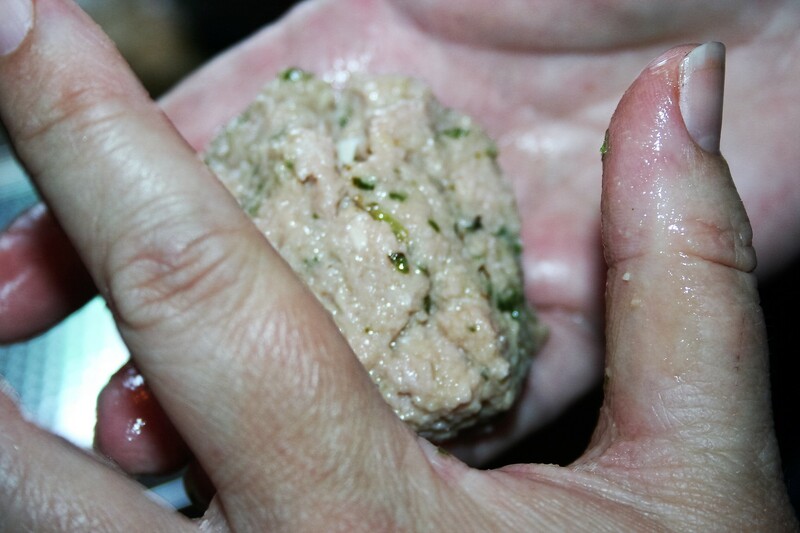 Whether you use homemade pesto or store-bought, this is an easy meatball meal that is a nice difference. Add the cheesy surprise and they are a hit. 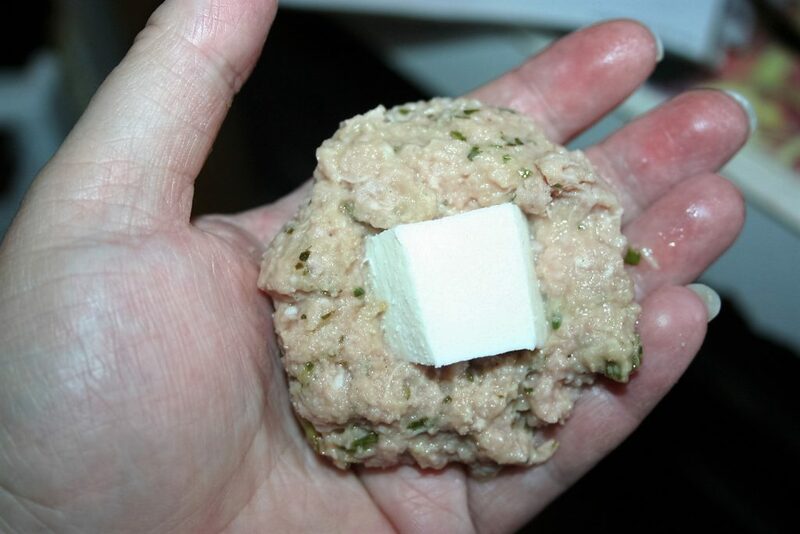 I found this recipe on the I Breathe I’m Hungry website when we began our keto (low carb, high fat, moderate protein) diet about a year ago. 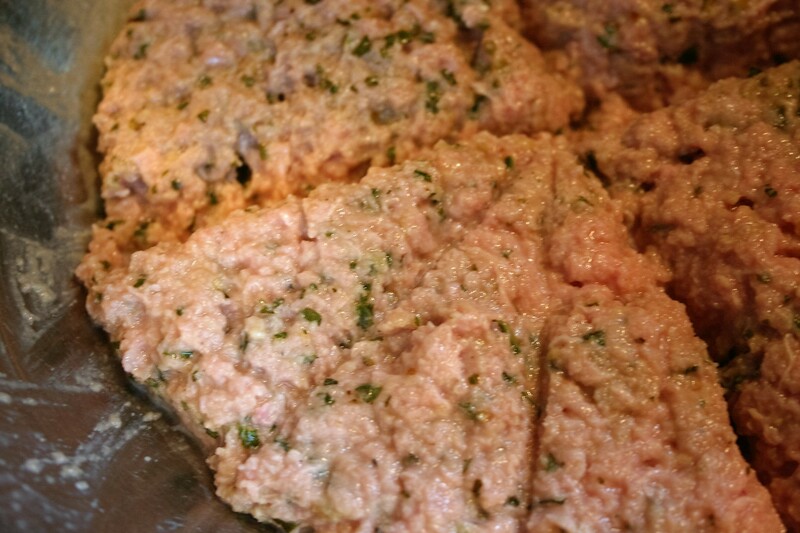 She has so many varieties of meatballs that you could fix a different recipe every night for a month and still have a couple week’s worth yet to try. These have a piece of mozzarella cheese stuffed inside them. They are simple to make and could probably even be baked in the oven if you wanted to. If you haven’t done so already, go ahead and get your easy pesto made. Now let’s get started. 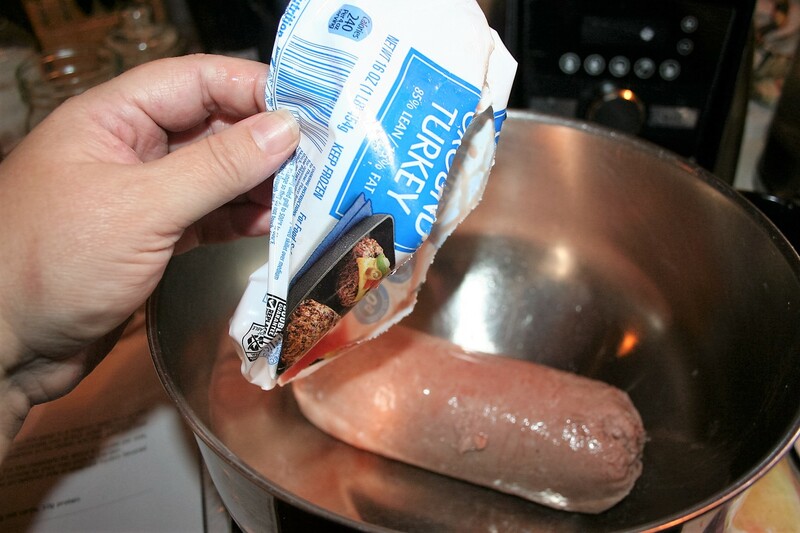 I’m using ground turkey but you could use whatever ground meat you desire. Add almond flour (if you’re a carb eater, you could use some breadcrumbs instead), egg, salt, pepper, and pesto in a bowl. Combine it well and level it out. 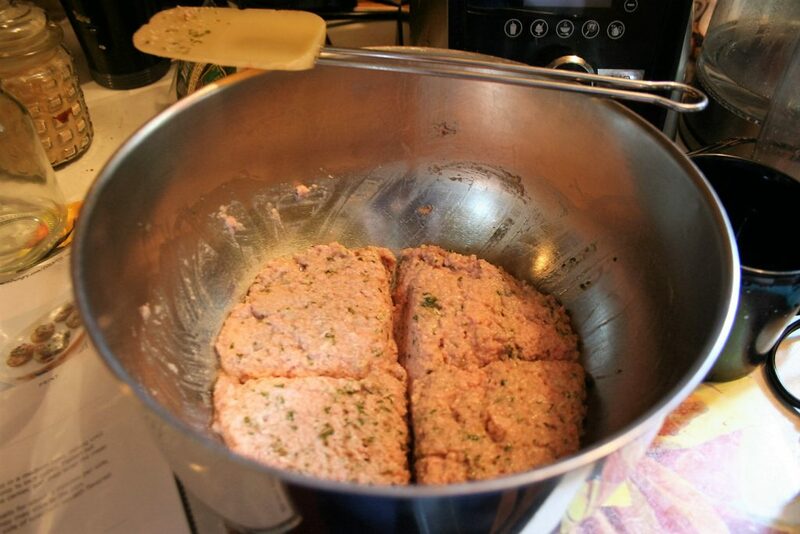 I like to make some kind of marks so I get relatively evenly sized meatballs. 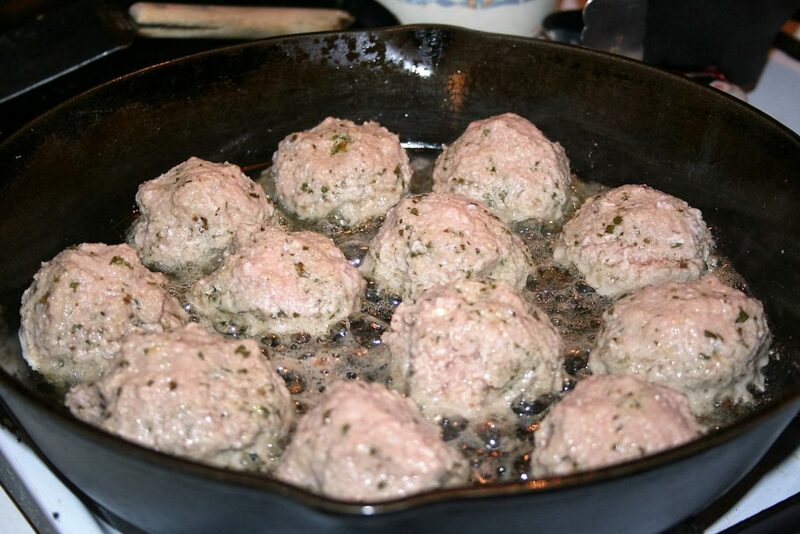 I think the original recipe makes this into only 10 meatballs but since there are four of us, I make an even 12. 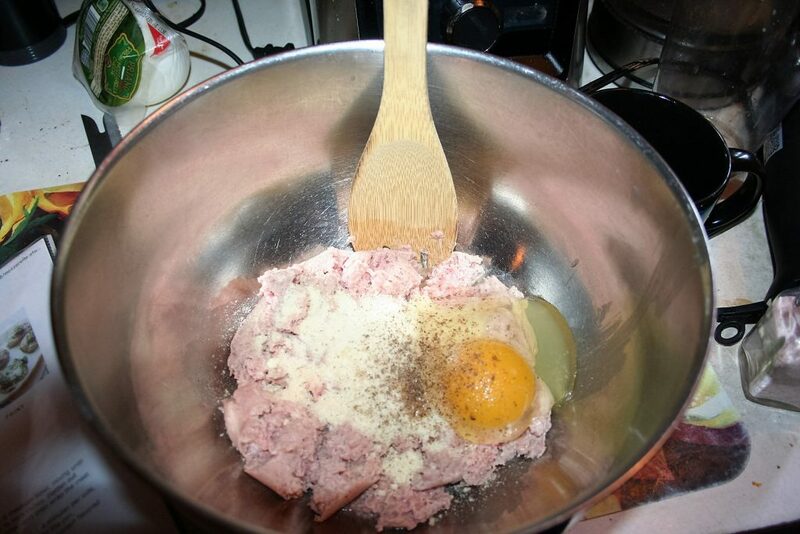 So first I divide it in half each direction so each section is about 1/4 the mixture. Then each section is roughly divided into 3 sections. 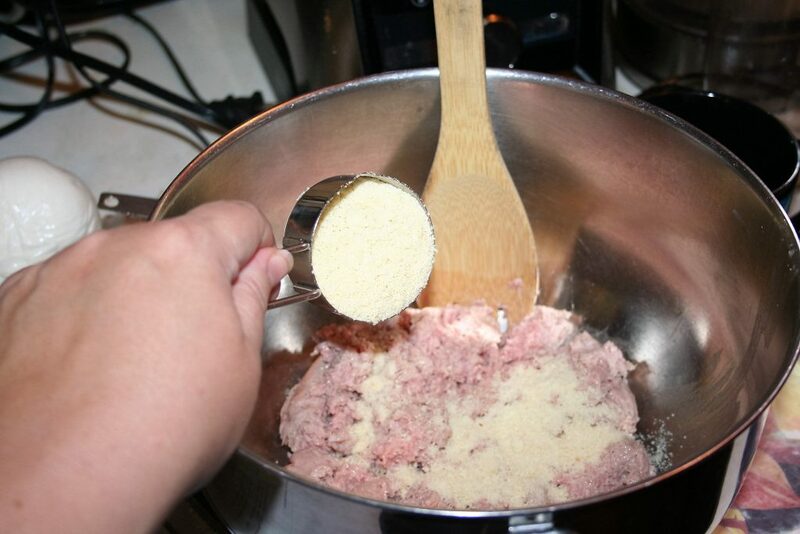 Take one section (1/12 of the mixture) and flatten it out in your hand and place a piece of the cheese in the middle. Begin wrapping the meat around the cheese cube. Close it up and make it round. Heat oil in a skillet and fry the meatballs (about 4 minutes per side or until browned and cooked through). I waited a little too long to turn them so they are more like ‘cakes’ than ‘balls’. Serve with pesto. We served these with zoodles. 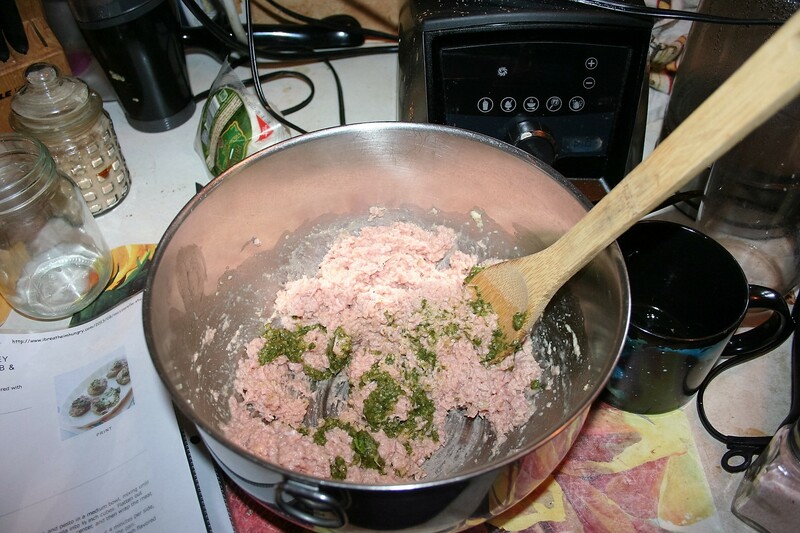 Combine ground meat, almond flour, egg, salt, pepper, and pesto in a bowl. 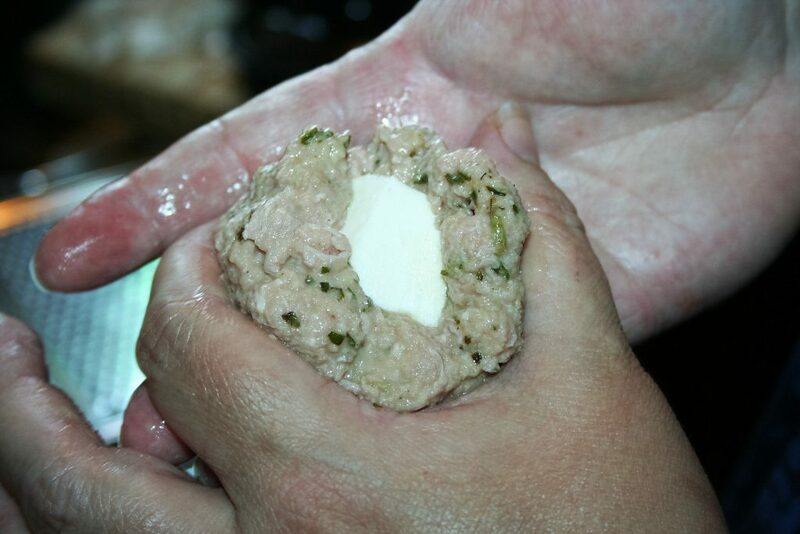 Divide meat into about 12 meatballs and form meat ball around a piece of cheese. 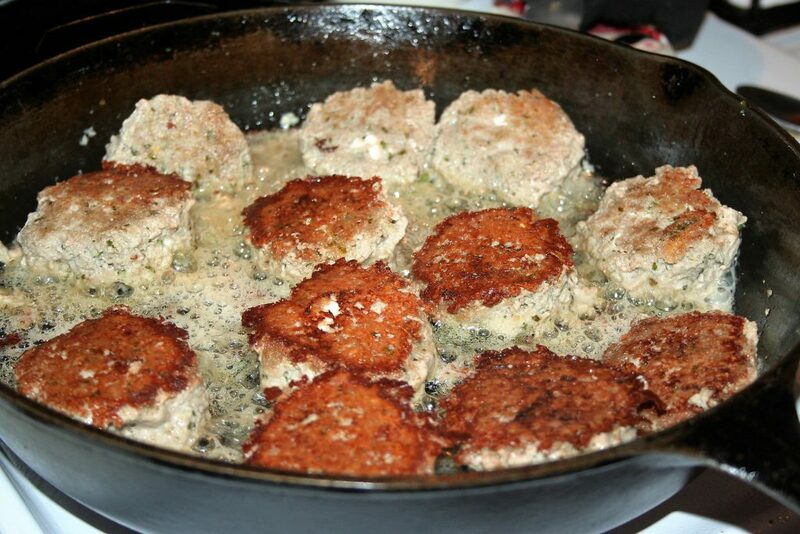 Fry in heated oil, about 4 minutes per side, until browned and cooked through. Serve hot with added pesto. 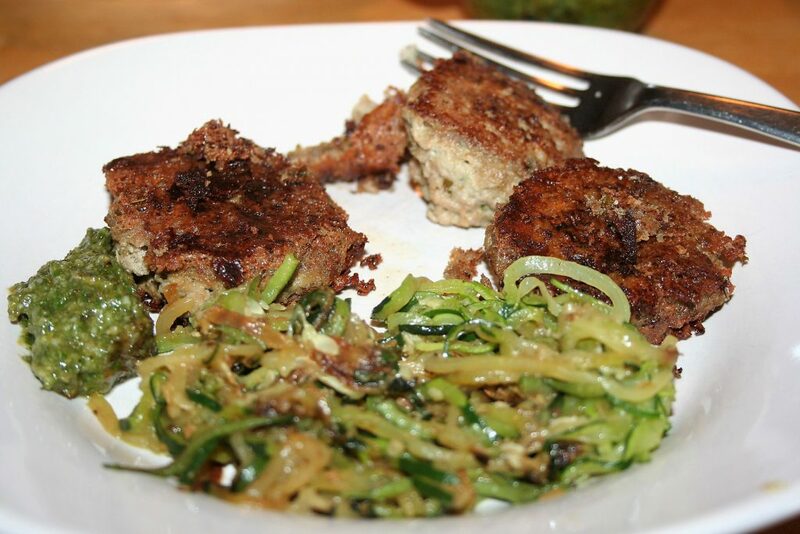 We served on zoodles (strands of zucchini sauted in butter).